We love our wayward geniuses, and Ms Lauryn Hill´s got enough waywardness and genius to fill this whole festival. After defining popular music in the late 90´s with the Fugees (The Score) and by herself (The Miseducation of…) we´ve heard way to little music from the great lady, but on the other hand every note released has been a great gift. And if the six songs she contributed to the soundtrack of the Nina Simone-documentary What happened, Miss Simone? 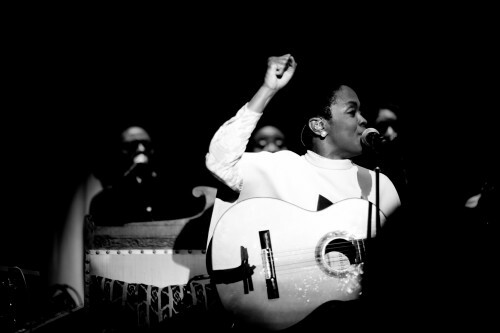 is anything to go by, Ms Lauryn Hill is back to her wayward genius best.